I love winter. Better yet, I love Melbourne in the winter. It seems our fair city has something for everyone all year round, and the colder months are no exception. Parents tell me that they dread the winter school holidays - it's less practical to send the kids outside to play, particularly when they return home covered in mud and with runny noses. Unless you want to leave your offspring in a trance-like state in front of the TV all holidays, it's likely you'll be looking for some interesting, child friendly activities these winter holidays. Luckily for you, that's the purpose of this article. Read on. 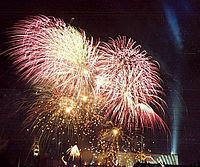 At 7pm every Friday night during July, Docklands will light up with a spectacular fireworks display. Rug the family up and make the most of the street entertainment along the Promenade from 6.30pm. There are plenty of vantage points around Victoria Harbour, as well casual places to get a bite to eat, so make an evening of it. It's a display that's guaranteed to make the children's eyes light up. 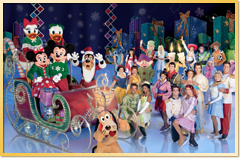 Featuring over 52 of our favourite Disney characters, Disney on Ice will be visiting Melbourne's Hisense Arena from the 4th until 9th of July. The show runs for just over an hour and a half, with Mickey and Minnie Mouse, Lilo and Stitch, and all of the Disney Princesses making appearances. The show follows a few traditional stories, such as Snow White, as well as some original ones like Disneyland Adventure. Ticket prices vary and can be bought online. Melbourne's own Circus Oz has just returned from a sell-out tour of the United States, receiving rave reviews while they were there. Just in time for school holidays, their From The Ground Up show will be setting up camp from June 20th until July 15th at Birrarung Marr's (conveniently heated) Big Top. This animal-free circus is based on an unusual hybrid of a live band, comedy, acrobatics, as well as some really nail-biting stunts. Check out the Circus Oz website for show times and tickets. It seems that Arctic 3D is an appropriate show to be featured at IMAX Melbourne Museum this winter. 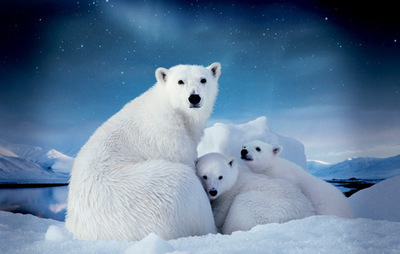 Opening on the 21st of June, the Arctic comes to life onscreen in 3D, telling the story of a family of polar bears in an immense, beautiful and sometimes brutal environment. This spell-binding show is pretty much as close as you can get to these exquisite wild animals. Ticket prices vary and can be purchased online. Family discounts are available. Melbourne Zoo is always a hit with the children. Get out the scarves and coats and make your way there to take advantage of their new Keeper Kids. Blending fun with education, this interactive playspace gives children the opportunity to let their imaginations run wild and find out what it's like to be a zoo keeper or zoo veterinarian. 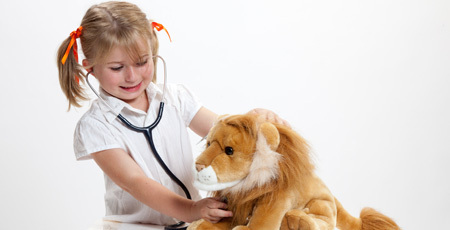 The little ones can dress up as zoo keepers and tend to some harmless stuffed animals, as well as learn about animal's diets and prepare pretend meals for certain animals. They will be encouraged to learn about the duties of people who care for the animals, and be able to look at real x-rays of some of the zoo's own animals - my favourite x-ray clearly shows a hook inside a poor old turtle which was recently operated on. (Don't worry, the operation was a success.) This clever new program will encourage the little ones not only to play, but really learn and explore. Keeper Kids is open from 9am until 4pm daily. Melbourne has so many things on offer to keep the family busy when the weather is cold, so don't be put off by the low temperatures. There are a plethora of things to do that won't only entertain the kids, but also teach them. Just don't tell them it's educational and they'll love it.